How much does each cellular antenna lease pay in New Jersey? I was approached to put antennas on top of our building in Hudson County, NJ for a cell site. A friend of mine has an industrial property in Passaic County, NJ with a cellular T MOBILE flag tower paying $2000 monthly but his 2nd antenna lease only pays him $1400 on the same tower. I would think that values in Hudson County New Jersey are higher than Passaic County because I can see the Manhattan skyline from here. They took pictures on my roof and said they can only pay $1,300 and they are looking at other locations as alternates. I don't want to lose the revenue because they are offering to pay me for 25 years and bump my rent up by 10% every 5 years. Should I take the deal or ask for more money? 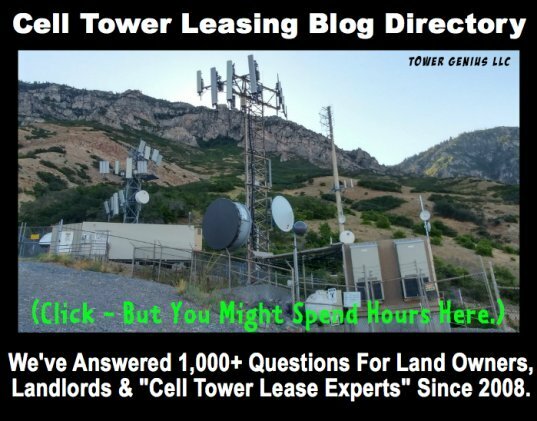 What are the cellular leasing rates for rooftop leasing versus a cellular flag pole cell tower lease? 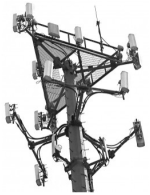 Does the rental amount depend on the company, the location or the kind of cell site it is? I saw your firm helps with cell site leasing. How quickly can I have a lease looked to get your opinion and what do you charge for negotiating cell site leases? Comments for How much does each cellular antenna lease pay in New Jersey? I have been a site acq for the last 10 years and worked with all the major players in the game. As a site acq., my job is to get the best deal for my client (within reason and ethics). When was the last time you walked into a car dealer and told the salesman I'd like to pay the most I can for a car. Usually you can get a few hundred bucks more than they offer BUT you do run the risk of having them walk away if you're a pain in the a$$ and want a ridiculous amount. Any decent site acq. should be willing to do what's in the best interest of their client. I am also a property owner and would love to have a carrier on one of my properties, unfortunately they do not meet the criteria. You've gotta ask yourself, how much am I now getting for that unused 250 sf feet on my roof. I assume the light will go on and that easy money will look even better, even if you didn't get the absolute highest rent you thought you were entitled to. I will tell you this though, once you get an antenna lease done, your more likely to get another one. Site acqs. see these sites as real "players" in the antenna game and not some landlord that has no idea of what's involved in a roof lease. We need sites done within a reasonable rent but just as important "fast". The carriers want answers from LL's yesterday, even if the carriers themselves are slow. I have space on top of my 11 story office building in Downtown Newark NJ that I would like to lease out appx 6500 sq feet of open air no other big building to bounce off of... Where should I start to find companies that would like to rent. I will pay you Big Cash Money for your lease and you can still will it to your family after that. You get the best of both worlds. It's nice to have the steady money but your lease says that they can get out the lease with a 30 to 90 day notice, so that 25 to 30 year lease is really and 30 to 90 day lease. The bank won't lend against it but we will pay you BIG BUCKS!!!! Put the kids through school or buy some real estate in this down market. You can make more money than what you have coming in. I would love to give you 6 figures for your site if you qualify. Contact me at rnornes@apwip.com for a free lease analysis. AP Wireless Infrastructure Partners (APWIP) is a cell tower lease buyout company, and has posted an "advertisement" above. Tower Genius does not endorse one particular buyout company over another. 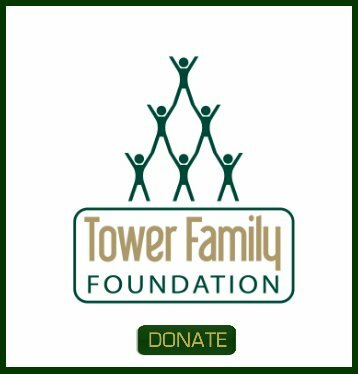 However we encourage and remind landlords who have been contacted to sell their lease to talk to Tower Genius to make sure the offer you are getting is a fair one. Rick, the next free post will cost $200, where can I send the PayPal invoice? To you or to AP Wireless Infrastructure Partners? William, what part of the previous response don't you agree with? The previous response says that the rent is negotiable. The problem that landlords have is that the majority of site acquisition companies working for the carriers are giving landlords low-ball offers with mediocre to bad terms and playing one site against the other. I deal with this every day. I see shady site acq's calling landlords offering horrible deals and telling them they have several other alternate sites, so take this deal or your neighbor will get it, etc. I tell landlords to let the carrier know they are interested to get them committed to the site first. Once the carrier has some skin in the game we show our cards. What landlords also don't understand is how to properly maximize the values of their cellular leases and rest assured, the carrier isn't going to show them what language they need to protect them and put them on a level playing field. BTW, getting $1750 in Hudson County NJ on a rooftop cell site lease is nothing to write home about. I'm sure we could blow that out of the water. I respectfully disagree with the previous response. The 1300 number was the first offer, throw out a counter of 2,000 settle on 1750 a month with 3% Annual bumps. I have been in this game a long time trust me you will get it there is a reason they are on your roof and not your neighbors. Thanks for checking out our forum. Yours is a common question. Your friend with the cell tower who is getting $2K from the first wireless tenant and $1400 from the 2nd tenant is getting fair market value in NJ. Yes, the carriers were paying higher rents a few years back, however the 2nd carrier is paying carrier #1 to put their antennas on the anchor tenant's tower. Additionally they are paying your friend for a ground lease. Depending on the height of the cell tower, they may be able to lease additional tower and ground space. Regarding your situation, don't waste time with the carrier. Tell them you want antennas on your rooftop or they will move to another location. Tell them to send you a copy of the lease to review. Cellular antenna lease rates vary on a carrier basis, but $1300 seems low for Hudson County NJ. The roof IS your ground space, so you need to watch the carrier to make sure you can also rent to other future tenants. Pay attention to the subleasing language in the lease agreement. We can help you with that. The increases they are offering are negotiable as is the rent. This is like sport fishing. You've got to set the hook first before you reel them in. Send us a contact form here on our site if you need further assistance or call us TODAY at 888-313-9750.